Discussion in 'General Discussion' started by Johnny Caps, Aug 12, 2014. 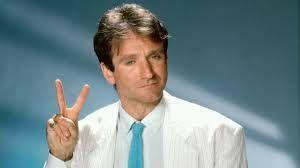 Like many of you, I was shocked to hear of the death of Robin Williams on August 11th, 2014. Williams' work was an essential part of so many of our childhoods and continued to be so as we grew into adults. I would like to share some memories of my favorite work from this much talented comedian.